Canned salmon is a great budget friendly way to get some heart healthy fish in your diet. 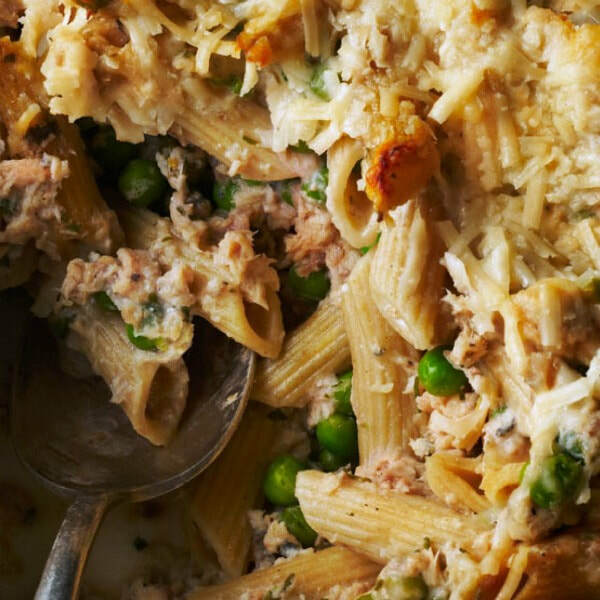 Try this recipe with canned tuna if you prefer! Cook the pasta according to package directions. Run under cool water to keep noodles from sticking together. In a large bowl, mix salmon, pasta, green onions, peas, yogurt, dill or parsley, salt, and black pepper. Transfer pasta mixture to a 9x9 inch square baking dish.